U.S. apparel imports were virtually flat in 2017 as retailers and brands continued to tighten inventory levels amid stable sales but lower average prices. Vietnam, Mexico and India gained a bigger piece of the U.S. import pie, taking share from China and, to a lesser extent, Bangladesh, Indonesia and Honduras. According to data released last week by OTEXA, the International Trade Administration’s Office of Textiles and Apparel, total apparel imports edged down by 0.5% on an MFA basis for the year, to $80.3 billion from $80.7 billion in the year earlier. On a square meter equivalent (SME) basis, imports rose by 0.8%, indicating a shift toward cheaper goods compared to last year. The average cost per square meter of imported garments fell by 1.3%. Imports from Vietnam grew by 7 percent in the year, the most of any top 10 trading partner, t0 a record $11.6 billion for the year. Vietnam gained a percentage point of share of U.S. apparel imports in the year, mostly at the expense of China, whose 3.2% drop represented a loss of 90 basis points of total U.S. apparel imports in the year. China’s dollar share of U.S. apparel imports, which peaked in 2010 at more than 39 percent and has been on a slow decline ever since, ended 2017 at 33.7% as higher costs are driving many brands to seek sourcing options in Southeast Asia and elsewhere. It is interesting to note that the average cost per square meter of apparel imported from China dropped by almost 5 percent compared to the prior year, presumably a result of brands moving more labor-intensive and complex garments to other countries. Wool apparel imports from China fell by 13%. Cotton apparel declined by 4%, and manmade fiber apparel by 1%. Apparel imports from Mexico had their first increase in three years, rising 5.3% to $3.6 billion. 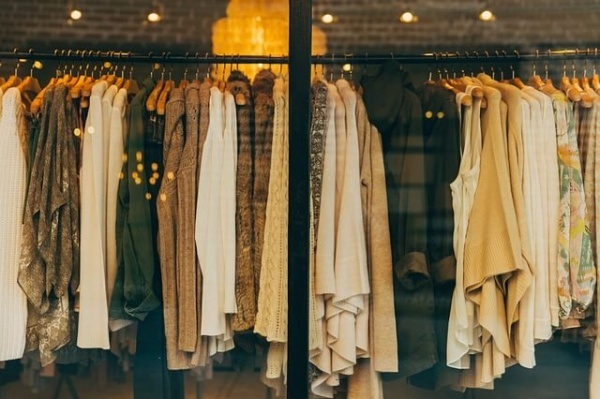 Volume fell by 4.6%, and the average cost per square meter of imported apparel from south of the border increased by more than 10% as many U.S. brands and retailers opted to source closer to home. Manmade fiber apparel, which comprised over 40% of the garments from Mexico, grew by almost 19% in the year. Bangladesh’s apparel exports to the U.S. suffered the biggest percentage decline of any top trading partner compared to the prior year, down 4.5% to just over $5 billion for the year, with most of the decline in cotton apparel. Several other countries have received a tremendous amount of attention due to their low labor costs and early success in attracting investors and apparel customers, but still remain tiny relative to total U.S. apparel imports. Although Ethiopia increased its shipments to the U.S. by 53%, the total value was only $32 million, not even a rounding error relative to the $80 billion in total 2017 imports. Likewise, Myanmar’s 73.6 million represented more than double 2016’s total. Haiti’s exports to the U.S. totaled $849 million, 1.6% above 2016, but almost 4% below 2015.